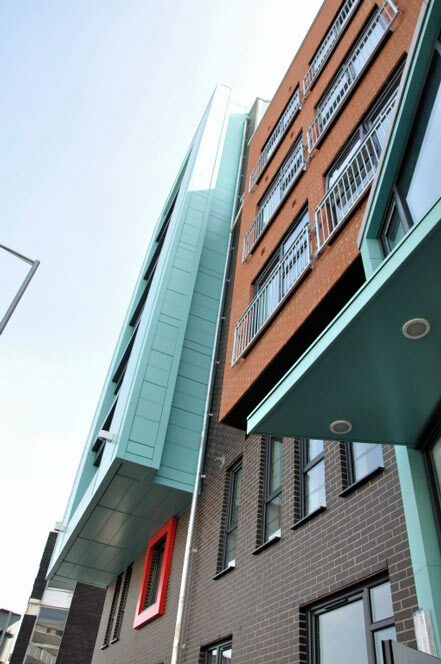 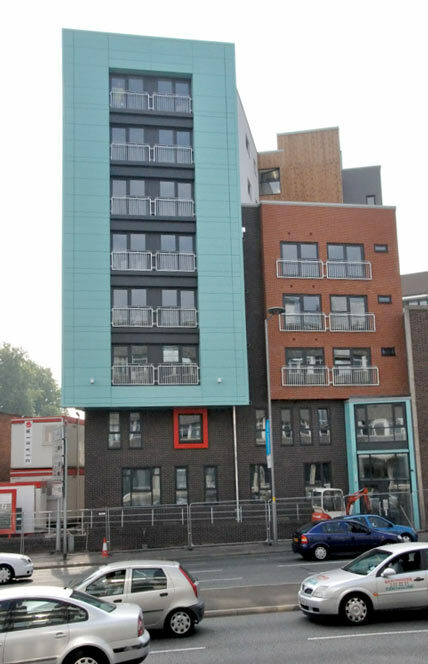 This was a highly complex scheme and designed as twenty four student cluster flats, containing seventy nine bed-spaces all with en suites for the burgeoning student accommodation market in Leicester. 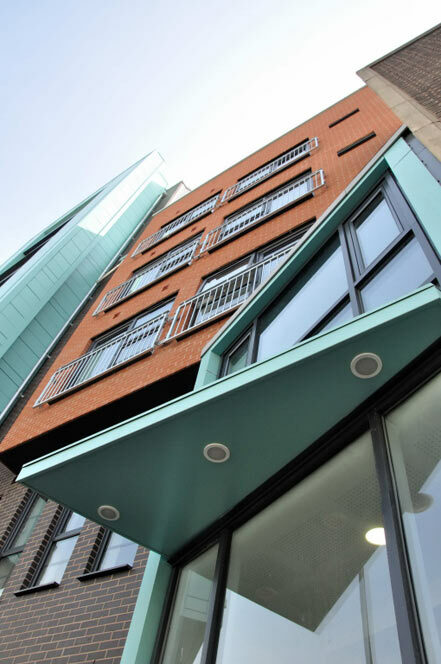 The scheme was designed such that it could be converted back to individual apartments for the private market should the client wish to do so in the future. 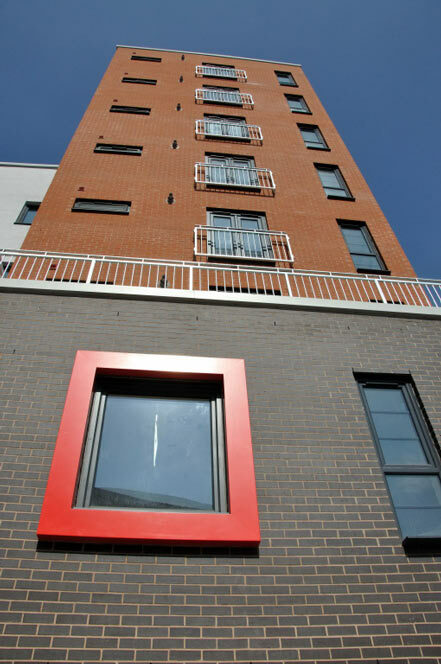 Its dominant feature is the aluminium ‘sail’ that cantilevers from the building on the main elevation and is set against contrasting black brickwork panels and feature red windows. The scheme was so successful that it was fully let in two weeks nine months from completion. 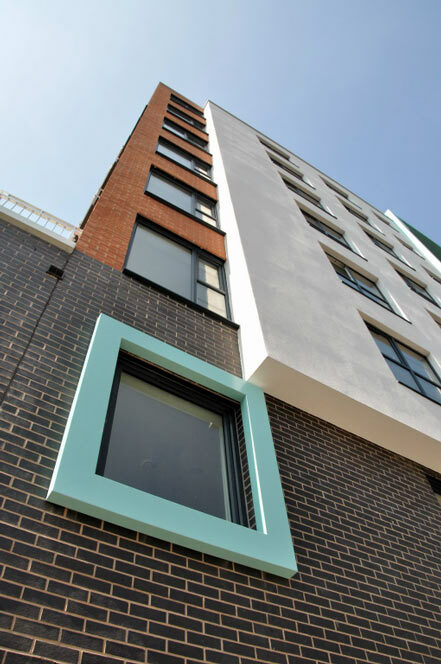 The project was extremely well received by the planning department and went through unopposed in thirteen weeks and now stands as an exemplar of how student accommodation architecture can be delivered sustainably and commercially in a tough economic market.